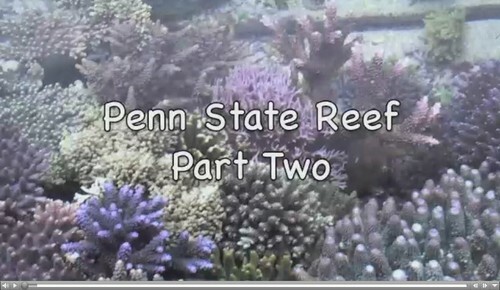 Dr. Sanjay Joshi at Penn State University meets with AmericanReef.com, and examines the awesome 500-gallon reef tank on display in the Student Union. Sanjay provides details relating to the design, set-up, and maintenance of this tank, offering the home aquarist both inspiration and invaluable reef-keeping advice. This is Part 2 of the podcast. Send any comments to Americanreef@me.com or comment below this article in the comments section. Announcement: Advanced Aquarist – Now in Print!